Elac IW-D61-W 2-way in-wall speaker shatters expectations with award-winning Debut sound delivering musical refinement, deep bass and impressive power handling. Earn 175 loyalty points when you order this item. Elac IW-D61-W 2-way in-wall speaker shatters expectations with award-winning Debut sound, delivering musical refinement, deep bass and impressive power handling that are hallmarks of every Debut design. Now, discriminating listeners can bring ELAC quality reproduction into every room where space, layout or aesthetics demand a virtually invisible solution. Whether used for two-channel systems or incorporated into home theater and surround-sound systems, the IW-DC61-W is the perfectionist’s choice. That’s the way that ELAC Custom Install line of speakers fit into your lifestyle. 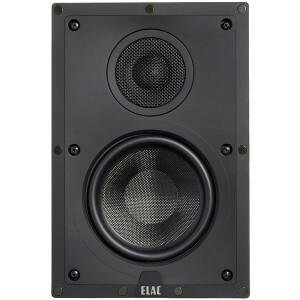 What separates these ELAC models from all the rest is their sound, performance and durability. 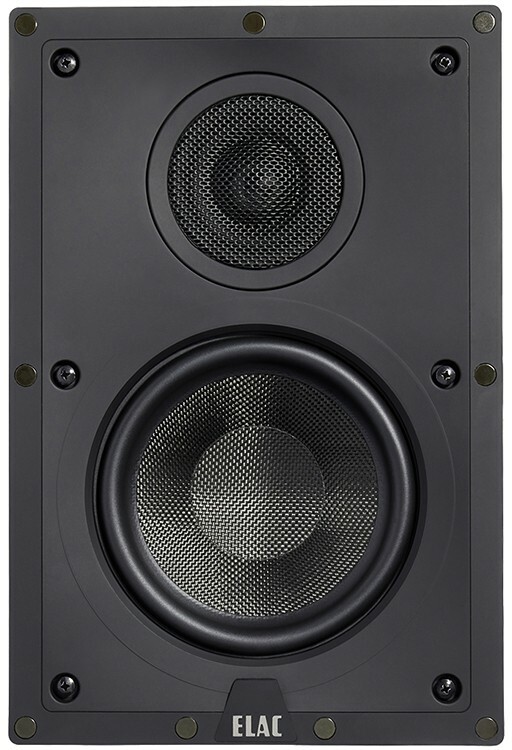 These speakers receive the same attention to design as other ELAC speakers, and use the same high-quality drivers and components, with build quality and reliability that far surpasses other products in the so-called custom arena.